Want an A or A* in GCSE English? Here's the secret (pass it on). A-A* for poetry is here. Learn as many as you can. 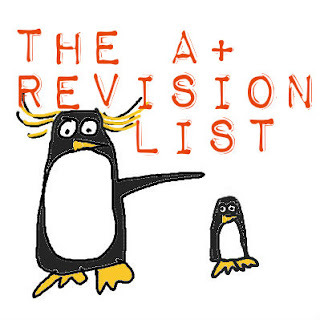 Yes, you can revise English. Don't forget to explain what specific effect it creates or what mood/meaning the words suggest. imagery: or ‘word-pictures’ includes: personification, metaphor, similes, sensory language, adjectives, etc. 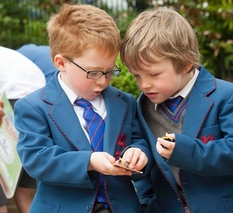 Any place the writer puts an image or picture in your mind - ‘we need a police force of children’. 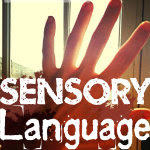 sensory language: touch, taste, smell, sights (colour, light, shape), sounds are used to create a vivid picture of the scene - to [increase whatever effect/theme the writer is trying to get across] Link this to sounds (sibilant, plosive, etc) wherever you can. Comment on if it’s a positive mood - light, bright, soft; or negative - dull, harsh, uncomfortable. 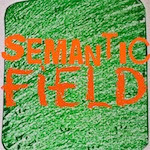 semantic field or lexical field: a group of words referring to the same topic, e.g. ‘flames’, ‘damnation’ and ‘hell’. This is most worth commenting on where there’s an interesting contrast, e.g. love described as ‘war’ - something unexpected which shows us a strange truth about love: it can be hurtful, violent, you can feel destroyed, etc. This normally highlights a particular mood. 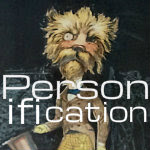 personification: giving human qualities to non-human things: actions, emotions etc. This builds mood. You can work out what from the words used. 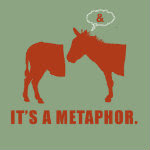 metaphor: normally metaphors suggest a mood or feeling. Highlight the key mood word, quote and comment on it. e.g. Diamonds glinted on the sharp edges of the water. His eyes were cold blue marbles. The sound died on the air. Sunlight spilled through the window. simile: easy to spot as one thing is compared to another using like or as. e.g. He was as sharp as a needle. His eyes burned like dying fires. The sound fell like feathers in dead air. (N.B. ‘dead air’ is a metaphor). 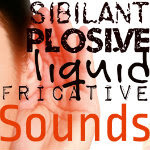 sibilant: /s/ sounds (not /sh/). Effect depends on context, and the meanings of the words around it. How to write about it: e.g. The sibilant sounds in ‘softly, sweetly, sickly’ creates a soft, gentle mood, which turns sinister on ‘sickly’ as the sounds flow across the line. The unusual shift in mood within the same, sibilant sound, creates a disturbing effect. liquid /l/ this can flow, creating a sense of quick, light movement - or of water - ‘light slipped down the lee of the hill’, or sound thick and heavy e.g. ‘ladling’, ‘slop’. alliteration is easy to spot. Words close together start with the same letter (same sound). 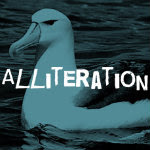 Alliteration emphasises these words and connects them, so it's a form of linking. Sometimes the link is striking: 'delicious death' (name for a chocolate cake). 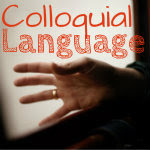 You should comment on the meanings of the words that have been linked and what this suggests. 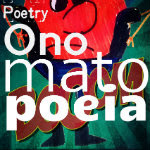 onomatopoeia sounds like what it describes; crack, crash, boom - are obvious ones. Light, sharp, spark, split are light, sharp sounds; mud, dull, thick, gloop, earth - are heavy, dull sounds. 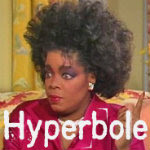 When writing in detail about onomatopoeia, find a few words that go together (e.g. three words with light, sharp sounds, or three dull, heavy ones). long syllable: light, fool, love, breach, steep, oil - drawn out, sensual feel as the sound lingers. In combination with dull sounds, can seem ‘thick or hard to say’. short syllable: hot, pit, go, bat: short, sharp, abrupt effect. juxtaposition: two words, ideas, events or characters who are positioned close together to create a particular dramatic effect, often a contrast that emphasises the qualities of each - or how something is out of place, etc. 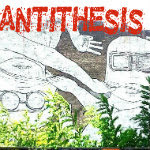 antithesis: two words or ideas that are the exact opposite: heaven/hell, light/dark, despair/hope. 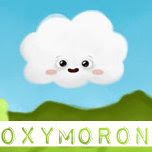 oxymoron: opposite words that are put straight next to each other: ‘bittersweet’, ‘despairing hope’, ‘true betrayal’. Look at what the writer is comparing. Long/short sentences: the use of long, complex sentences often increases tension. Short sentences can be abrupt, shocking. A short sentence is often used after a long sentence, to make the theme/idea/of point even more forcefully. Lists: long lists create a sense of profusion, busyness, a cluttered or claustrophobic mood. Rule of Three: A set of three words or ideas shows a rounded view: comment on which elements the writer has chosen to include. What do these tell us about the theme or the writer’s attitude/thoughts and feelings? 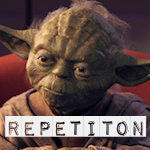 Repetition: emphasises whatever idea/theme the word suggests. Or perhaps the writer repeats the word to show a second way of interpreting it. First and last words in a paragraph or sentence: writers emphasise words through structure: they put words in first or last position to emphasise them. Writers often rearrange the word order in their sentence to make sure the important word comes first... or last. Like alliteration, it's very easy to spot. ‘from Manchester to Mumbai’, ‘in people aged 45-60’. ‘the tsunami reached a height of a hundred metres and devastated property ten miles inland’.